After a late lunch, we walked west along the South Street and reached the waterfront of the Delaware River. 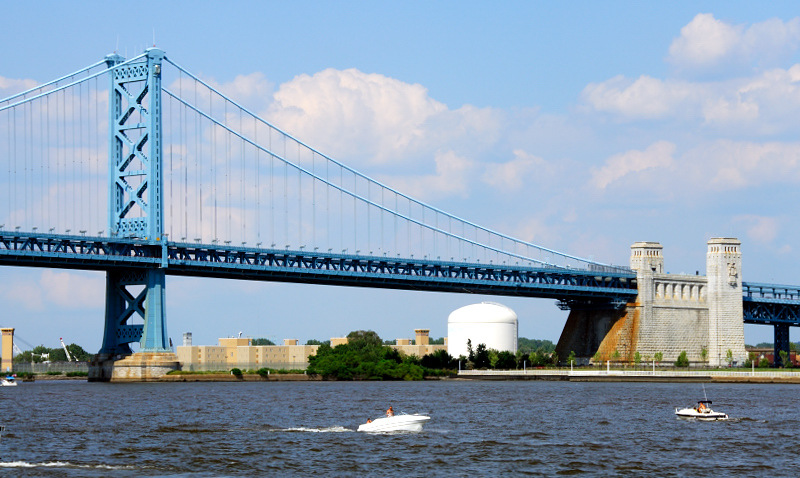 The Benjamin Frankin Bridge was originally named as Delaware River Bridge that connects Pennsulvanie and New Jersey. (C) Copyright 2006-2013 by CM Kwan. All rights reserved. Please contact me if you want to use this picture.